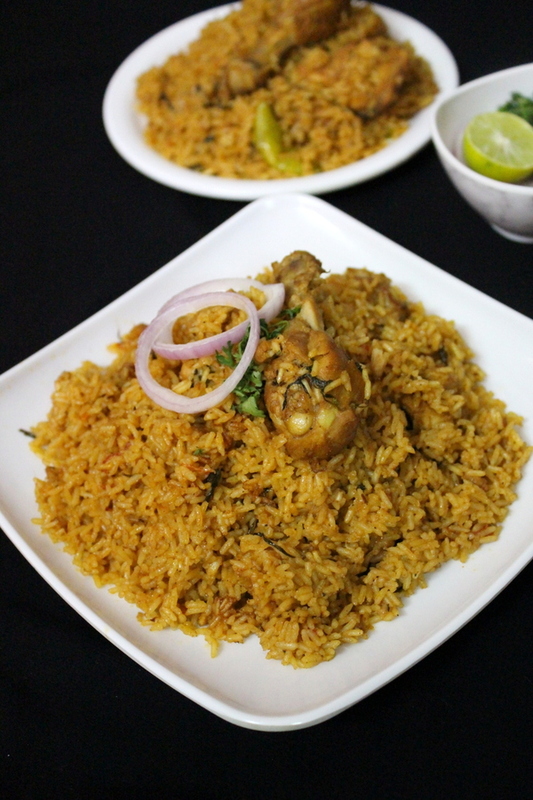 Chicken pulao or chicken tahari is a delicious chicken rice recipe made using chicken and rice mixed together by adding aromatic spices into it. The chicken pulao shared here is along with a video procedure below and it tastes as good as a biryani. 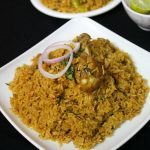 There are many rice special delicacies but we always think of them in the form of biryani but there are many rice dishes that can be made in the form of pulao and here is the pulao recipe made using chicken. Other pulao recipes or rice recipes in vegetarian side that could be made are veg fried rice, veg pulao and also do try veg biryani in cooker. This recipe can be called as a substitute for biryani and it is a perfect delicacy suitable to be made during festivals or occasions. In this recipe I have cooked the chicken curry and added the soaked rice into it which is almost like a biryani but this technique is usually referred to as hyderabadi tahari in muslim style. Chicken pulao made here is so yummy and I assure this pulao would be everyone’s favorite after biryani. I make this pulao very often and my family just loves to have this rice delicacy without any side dish. If there is any side dish that is required for this pulao, then a simple onion raita or cucumber raita is enough to have with this yummy chicken pulao. 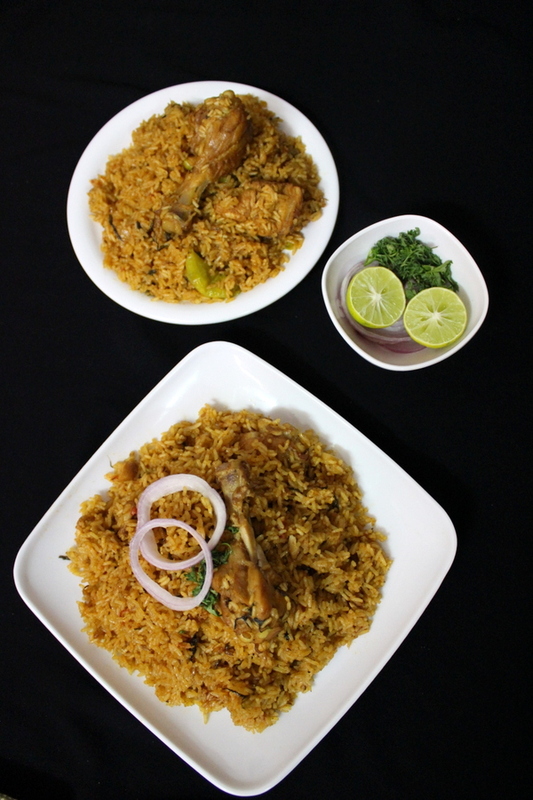 I have already shared a similar kind of tahari recipe made with mutton earlier and today I am posting a similar version of recipe called as chicken pulao which is made using cooked chicken mixed with rice. 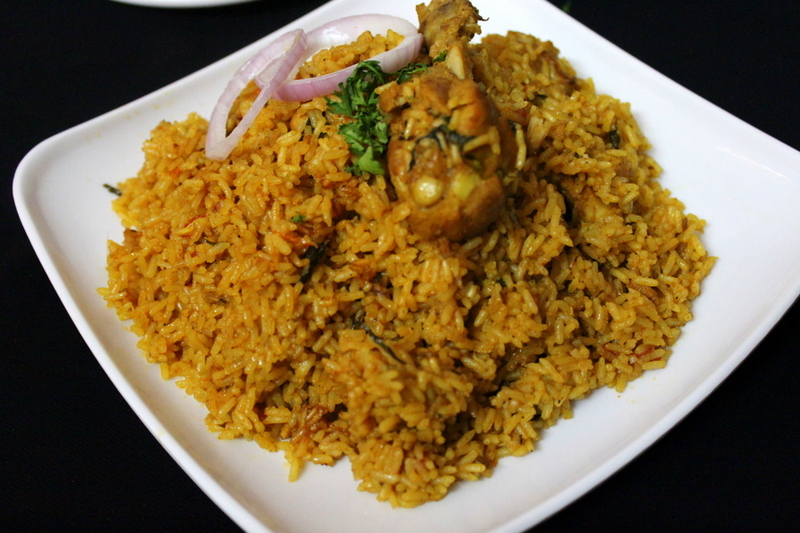 The combination of chicken and rice is simply amazing and I am sure nobody can resist this rice delicacy. This recipe can be made as special lunch recipes, dinner recipes or for festivals. I usually prefer to make these recipes on sundays or during special occasions as my family loves this rice dish to be made very often. There are various pulao recipes that are made using vegetables but here I have made a non veg version of pulav which is using chicken to make the pulao and it turned out to be the best pulao recipe I ever made. There are many pulao recipes in veg versions and non veg versions and I would love to update them as I keep blogging on different pulao recipes. Below are the recipe details on how to make chicken pulao which looks quite appealing and simply irresistible. 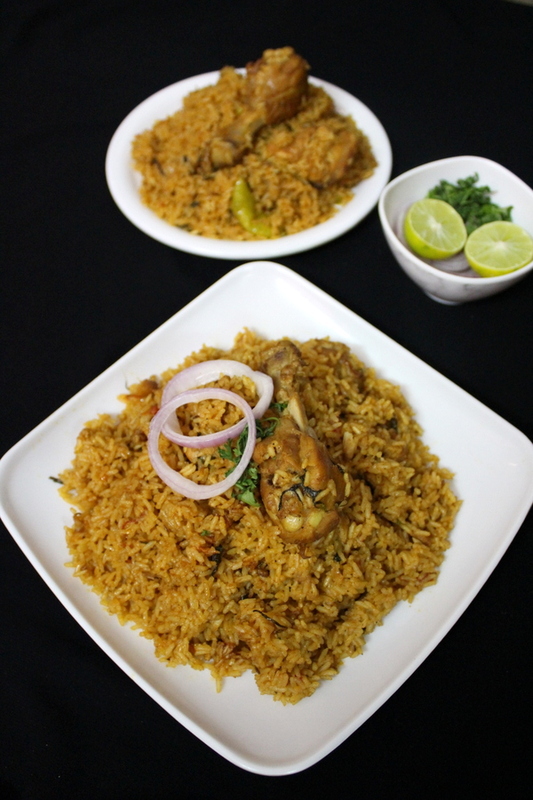 A delicious hyderabadi style pulao recipe often termed as chicken pulao made using chicken and rice with aromatic spices into it. Note: Wash the rice well and soak the rice for 10-15 minutes if it is ordinary rice. If basmati rice is used then soak the basmati rice for about 25 minutes before adding into the cooked chicken. Firstly, take a pressure cooker, into it add oil and heat it. Add the sliced onions, add the whole spices like cinnamon, cardamom, cloves, shahi zeera, mix and cook until the onions turn into golden color. Add turmeric powder into it and saute for few seconds. Add the chicken and roast until the color of the chicken changes. Add the red chilli powder, salt, mix and cook until oil leaves the sides. Add the chopped tomatoes and cook until the tomatoes turn soft and pulpy. Add beaten yogurt, pepper powder, garam masala powder, mix well. Cook until the chicken gets soft and tender. Add about 5 cups of water, add freshly chopped coriander leaves, mint leaves, green chillies, lemon extracted juice, add salt if required, garam masala powder, stir well and bring the water to a boil. Add the soaked rice into it, cook the rice until 80% done. Give a mix, cover again and cook the rice until rice is completely cooked. Serve the chicken pulao with raita. 1.If ordinary rice is used then soaking the rice for 10 minutes is enough. 2.If basmati rice is used then, soak the basmati rice for about 25 minutes before adding into the chicken curry. 3.Add the rice when the chicken is 70% cooked as the rest of the chicken would tenderize while rice is getting cooked. 4.Also watch the video procedure to understand the recipe in a much better manner. I tried but my rice was raw and burnt at bottom. At what heat should we give dum to the rice at the end and how long? 1. If you used a heavy flat based vessel then, there are less chances of burning. 2. If you used a steel vessel there are more chances of burning. In both cases if you do not want your rice to get burnt it is better to place a tawa and then place your vessel.